The Compass was a break from the usual for Jeep. The Compass concept is not as off-road orientated as its predecessors and it doesn't feature a low-range 4x4 option. The Jeep Compass concept does however retain some of the off-road Jeep spirit with an all-wheel-drive transmission and a 210 horsepower engine. 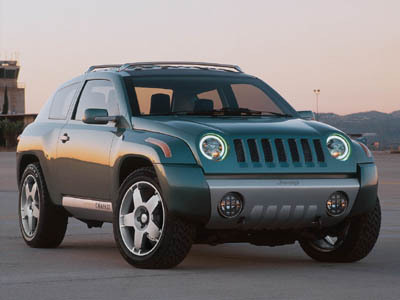 In 2005 an updated concept version of the Compass was shown which previewed a the production Compass introduced in 2007. 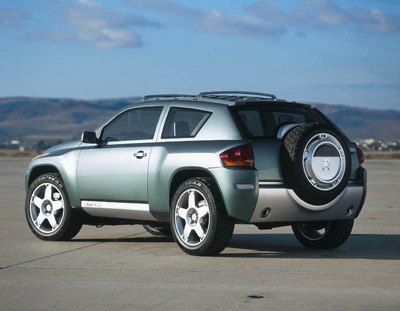 Unfortunately both these vehicles lost a lot of the original styling appeal of the 2002 concept.